Legislation proposed by a Forsyth lawmaker could have a crippling effect on the state’s commercial airports and their ability to compete for flights on a national scale, Missoula International Airport officials said Tuesday. Joined by businesses that rely on expanded air service and the state’s tourism industry, commercial airports in Missoula and elsewhere are lobbying against two pieces of legislation currently before the Montana House Transportation Committee. One bill would remove the 2-cent rebate on the fuel taxes airlines can receive, while the other would levy an additional tax of 10 cents per gallon on aviation fuel. 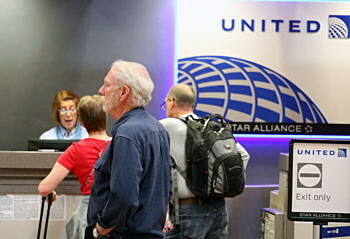 Both could prompt airlines to leave the market, or drastically raise ticket prices. Backed by the tourism and business lobby, airports in Missoula, Bozeman and Billings have made progress in bringing new air service to their communities in recent years. That’s been achieved by presenting a revenue guarantee to cover the cost of any empty seats. The distance from Montana’s major airports to regional destinations is farther than most cities, and those routes consume a lot of fuel. Given the competition, adding to that cost could prompt airlines to leave, placing Montana at an air service disadvantage. Chris Jensen, director of the Missoula airport, said fuel prices remain volatile as it is. Cutting airline incentives and raising fuel taxes won’t help Montana’s cause. Other states are moving in the opposite direction by eliminating their aviation fuel taxes, he added. Businesses across Missoula helped front the revenue guarantee that brought American Airlines to the market. For the past six years, those businesses have lobbied for expanded service, saying it was essential for them to compete on a national level. In recent years, the price of local tickets have fallen due to increased service, though they still stand 20 percent higher than the national average. Still, fares from Missoula are down roughly 10 percent over the last five years, serving as a boon to both business and leisure travelers, as well as western Montana’s tourism industry. The bill, proposed by Geraldine Custer, R-Forsyth, looks to apply the revenue gained through higher aviation fuel taxes to improve the infrastructure at small, non-commercial airports. While airport leaders across the state agree that infrastructure is important, even at small airfields, undermining the state’s commercial air service and those who rely on it isn’t the way to go about it. Jeff Roth, chairman of the Missoula Airport Authority, said the Legislature may not realize how closely airlines watch their fuel costs. The former United Airlines employee knows otherwise.